Note: The information below was prepared by Brad Stump for the Aviation Association of Indiana in order to provide them with some historical data on the DeKalb County Airport. They had requested this information as part of their research for the Centennial of Flight celebration. The history below is only intended to be a very brief history of the airport. The DeKalb County Airport was originally constructed in 1964 to replace the old Auburn airport. Construction of the airport was as a joint effort by DeKalb County, the City of Auburn and the private firm of Auburn Airways, Inc. The terminal building and a paved 3,650-foot long east-west runway were built in 1964 and hangars were built from 1964-1966. Also constructed in 1964 but later abandoned was a north-south turf landing strip of undetermined length (estimated to be less than 2,000’). The airport developed a master plan in the mid-1970’s that incorporated a Capital Improvements Plan, no new construction or facility expansion occurred at the airport throughout the 1970’s and early 1980’s. 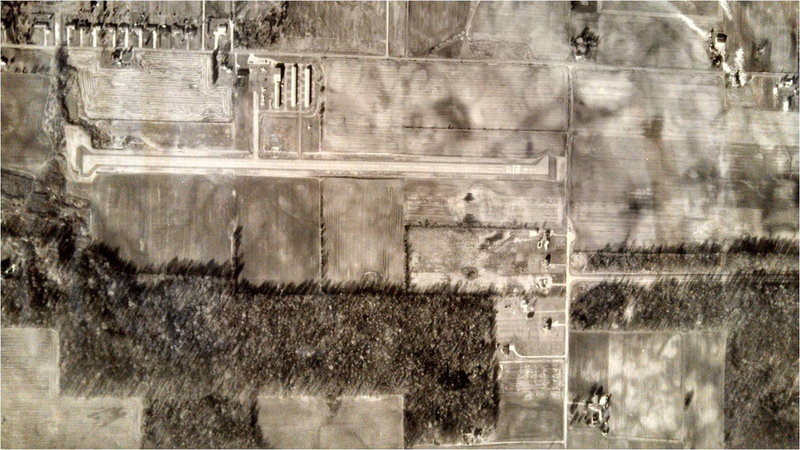 The first real step in developing the airport occurred in 1983 when the County purchased additional land immediately east of the airport to allow for future a runway extension. Subsequent federal grants for land acquisition, the closing of a portion of County Road 27 and the construction of a new portion of County Road 62 laid further foundation for eventual extension of the runway to 5003′. Throughout the 1990’s the DeKalb County Board of Aviation Commissioners took an increasingly more active role in the development of the airport. In the mid 1990’s the runway was extended to 5,003 feet and widened to 100 feet and a full-length, 35-foot wide parallel taxiway was added. A new terminal building, maintenance hangar, a 10,000 square-yard terminal apron and a 24,000-gallon Jet A and 100LL fuel farm were constructed shortly thereafter. The period from 2000 to mid-2003 saw additional improvements such as the installation of a taxiway lighting system, improvements to the fuel farm and the construction of the first new T-hangar building in nearly 40 years. The airport’s current 20-year Airport Layout Plan (ALP) was officially adopted in 2001 and included a tactical Capital Development Program (CDP) divided into three phases. Phase I covered the first five years and addressed the immediate needs of the airport, Phase II covered the second five years and Phase III covers the final ten years. 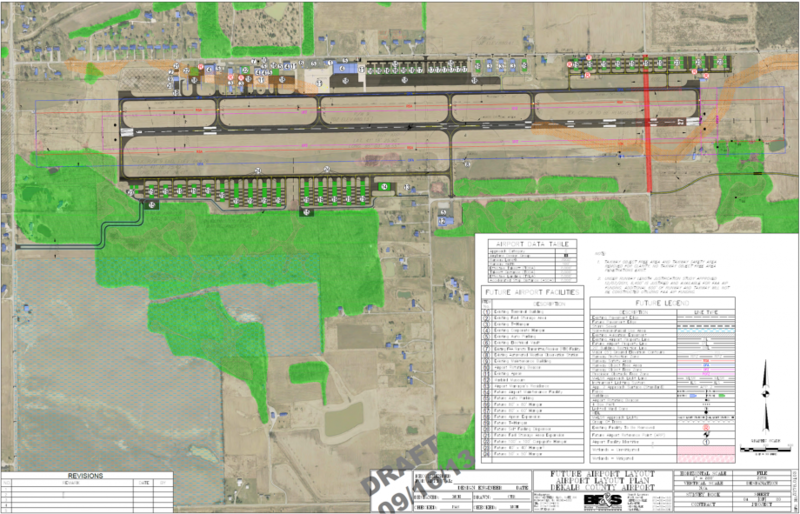 Phase I of the CDP included projects such as acquiring property east of the airport needed for ILS construction, re-routing a power line obstructing the ILS path, installing the ILS to Runway 27 and the Automated Weather Observation System (AWOS), completing T-hangar site preparation and constructing two additional T-hangars on the east end of the airport. Other projects that were not part of the CDP included the purchase of dedicated snow removal equipment for continual operations during the winter months. A full perimeter fence with access control, video surveillance and a wireless mesh network that is able to be accessed from anywhere on the airfield which was completed in 2008. In 2011, the Board of Aviation Commissioners was dissolved and the County and airport created the DeKalb County Airport Authority. Two additional full time staff members were added in 2012. Phase II of the CDP included the construction of the east main hangar with additional ramp space, construction of south taxiway for access to future facilities on the south side of the airport and the purchase of multiple properties to the east for the future extension of Runway 9-27. Projects included in Phase II that are currently underway are the relocation of power lines between County Road 29 and 31 and the planned relocation of County Road 29 between County Road 60 and 62. 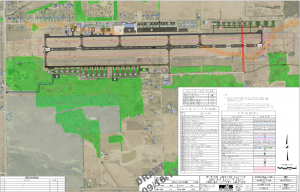 Phase II also included a runway pavement overlay that may be necessary prior to the planned runway extension. Phase III of the CDP covers projects such as extending runway 9-27 by up to 2000’, relocating the ILS and associated equipment to reflect the change in runway length, extending the north parallel taxiway to match the extended runway length, and adding additional corporate hangars and T-hangars. The public investment in the airport that occurred in the 1990’s was accompanied and enhanced by private investment. This private investment demonstrated the effectiveness and benefits of the capital improvements occurring due to the investment of federal, state and local funds. The Rieke Corporation built the first corporate hangar at the airfield in 1990-91 and the Auburn Foundry built the second corporate hangar in 1994. Small corporate aircraft had been already based at the airport for several years; however, in many cases they were often nothing more than single-engine piston aircraft used for commercial rather than recreational purposes. The construction of corporate hangars and the basing of more capable corporate aircraft at the airport is a testament to the role the airport could play in support of the economic development of DeKalb County. The airport has continued to see corporate interest increase over the years with the addition of several other corporate tenants. 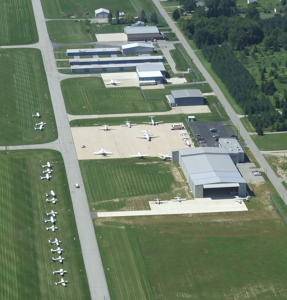 According to the Aviation Association of Indiana’s biennial study “Economic Impact of Airports in Indiana” the DeKalb County Municipal Airport had a total annual economic impact to the community of $7.8 million in 1999, increasing to $10.3 million in 2001. By 2012 the economic impact was estimated at $220 million as stated in a study conducted by the Aviation Association of Indiana, INDOT and Conexus. It is likely the economic impact will further increase upon the completion of the planned lengthening project for runway 9-27.